Teaching novel units in the classroom can be challenging. There are many questions that have be answered before selecting the novel for your groups. What are my students’ reading levels? What genre will I be using? Are there specific skills I want to teach? Do I have enough copies of the novel for my group? Where do I find resources to help teach the novels? We will attempt to answer these questions and provide you with some resources to use in your quest to teach novel units in your classroom. What are my students’ reading levels? This first question is probably the most important one when you are starting a novel unit group. You need to find the reading level of each child in your class and then match a novel unit that is at their instructional level. In our district, we use the DRA as a diagnostic reading assessment. It is able to find the students’ instructional reading levels, and also gives us guidance as to where they struggle when answering questions. Our district also just adopted the STAR reading assessment as well that helps us pinpoint specific reading skills that students need to practice. What genre will I be using? Throughout the school year, we like to use a blend of 50% fiction, and 50% non-fiction. For non-fiction, we love to use Scholastic News. This classroom magazine is perfect for our classroom. The articles are high interest and the students love them. They can’t wait to see what is in the magazine. They are also Common Core aligned so assessing reading informational text standards is super easy! For fiction, we try to get in a blend of realistic fiction, historical fiction, and fantasy throughout the year. When teaching novel units, we try to keep the number of days to twelve or less per novel. This keeps the students engaged in the novel and doesn’t stretch the book out to far either. Are there specific skills I want to teach? Our district follows the Common Core Standards for ELA. Because of this, we make sure that when teaching our novel units, we incorporate the standards into our lessons. Novels always have great examples of point of view, inferences, theme, character development and more. It is a natural fit to use novels with the Common Core Standards. Do I have enough copies of the novel for my group? One obstacle that many teachers have is finding enough copies of the book for each student in the novel group. Our school has a classroom library, a school library and a bookroom. But oftentimes there aren’t enough for six or more copies of one book. Our next place to look is our District IMC. We are fortunate enough to have this resource because it contains many class novel sets. However, since sparking kids interest is also important, many of the newer popular novels with kids aren’t in any of these locations. Then we fall back on bonus points from Scholastic Reading Club. This is a great place to use your bonus points to get multiple copies of novel units. Where do I find resources to help teach the novels? 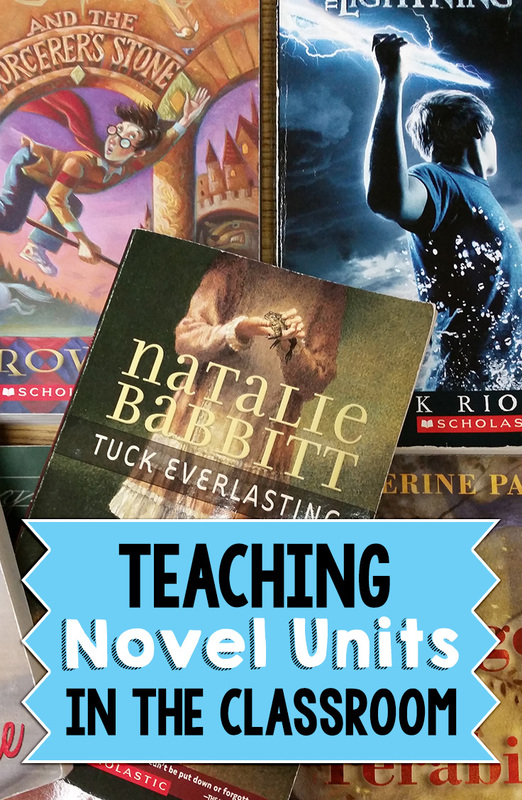 One of the things we both realized as we began teaching novel units years ago was that there wasn’t much for teachers to use in the classroom unless you wanted to pay $25 or more for one of the big publishing companies’ novel unit guides. As we incorporated novel units into our classrooms, we began to develop our own comprehension guides. We knew it was important to make sure our students were understanding what they read and this was a great way to check that on a daily basis. We also wanted to include reading strategies in the guides as well. Our newest venture is that we have created custom novel unit bundles that educators across the United States can now purchase. Popular titles such as The Lightning Thief, Harry Potter and the Sorcerer’s Stone, Bridge to Terabithia, Maniac Magee, Tuck Everlasting and over 30 more are included as choices for educators to now purchase and download directly to their computers. The Lightning Thief has become our most popular reading guide! It is packed with reading strategies, vocabulary, comprehension questions, projects, and so much more. 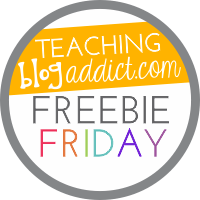 Your students will love how engaging the activities are! You can find it by clicking here or on the picture below. We are offering our two custom bundles at a huge discount! Click on the pictures below to learn more! Our students love these novel units! As a special bonus, we are offering two of our novel units for free so you can see the quality of the guides. Just click on the pictures below to download! Teaching novel units in the classroom should be fun and engaging. It is the favorite part of our day and we hope it will soon become yours! What novel do you suggest for a whole class 5th grade novel that I can differentiate for all three reading level groups that I have? Here are some great titles that also teach some very good life lessons: Maniac Magee, Loser, and Wonder would be at the top of our list.